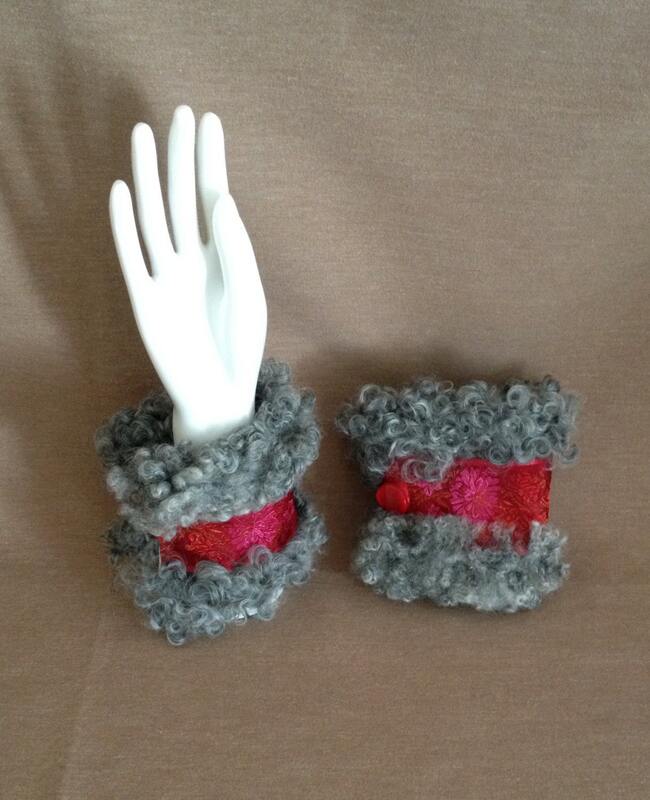 Featured here is a pair of Wristwarmers made from a high quality Gotland Sheepskin. The pair was handcrafted using Vintage French Ribbon and features an elastic and button closure. The coloration is Light Gray with short, soft and silky curls. 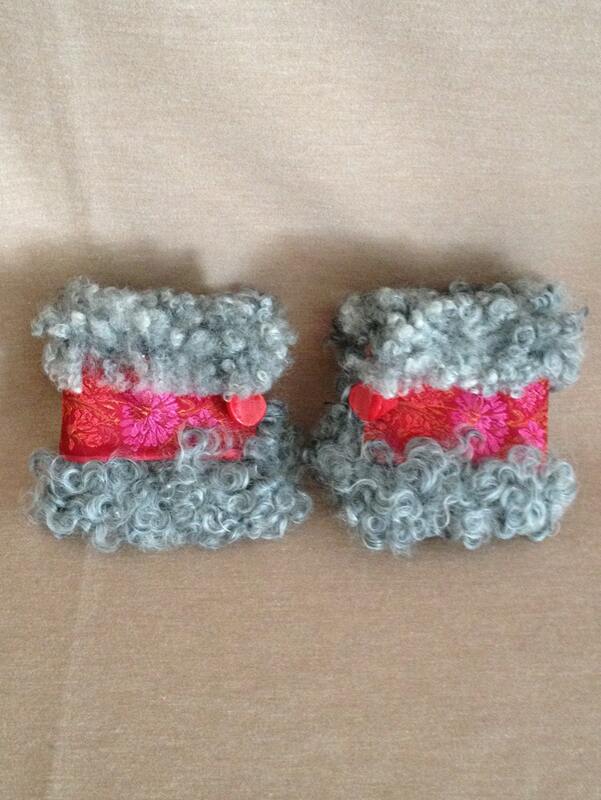 This pair of Wristwarmers are one of a kind - no two pairs are ever alike. Dimensions are 5 inches from Top to Bottom and 10 inches in Length before buttoned and comfortable fits a Medium sized wrist. They can be worn directly against the skin or over a sleeve of a shirt or a sweater. Although made with a wool sheepskin, itchy is generally not an issue. Kookaburra Fine Wool Wash also featured on my site. Shipping options available. Please feel free to email with questions or to request more information. *Please do not use or copy photos of any items listed in my shop without my permission or knowledge - Please just email to discuss use and no doubt we can come to some mutual agreement. Many thanks!